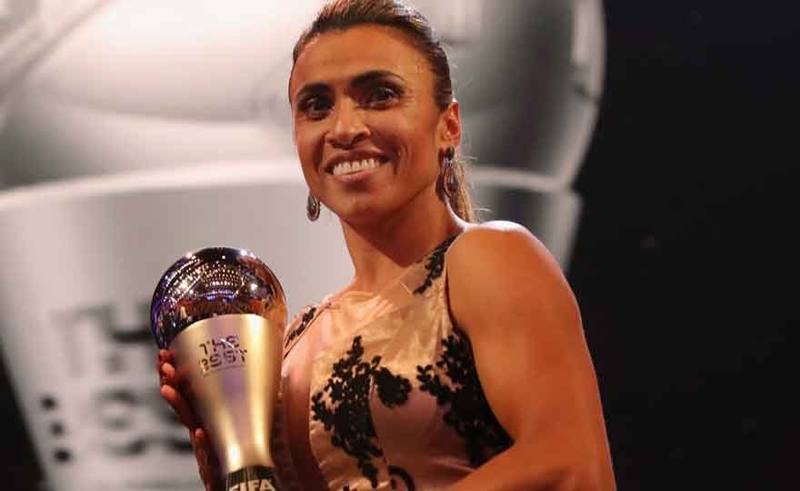 Marta was elected as the best FIFA player for the 2018. The 32-year-old brasilians was preferred to Ada Hegerberg and the playmaker Dzsenifer Marozsan. FIFA football Awards sees Marta crowned as the best in the world for the sixth time thanks to a professional career that has gone through almost two decades. 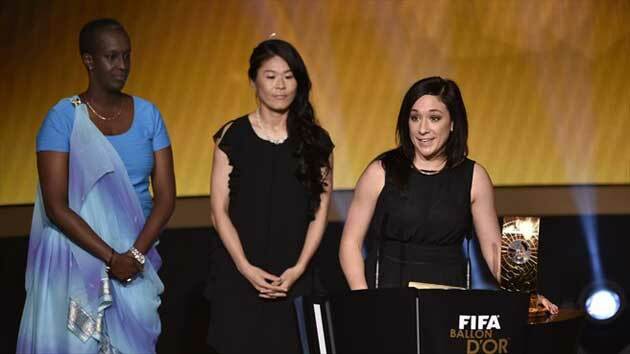 After Mia Hamm also Carli Lloyd for the second time "The Best FIFA Women's Player". Carli Lloyd bets the victory obtained in the 2015 and is elected in Zurich "The Best #Fifa Women's Player"of the 2016 reaches so the legendary Mia Hamm who had won in the 2001 and 2002. In the final exceeds Marta, Brazil, which won the coveted award five times (2006, 2007, 2008, 2009, 2010) and Melanie Behringer, Germany. For the fifth time an American footballer wins the golden ball after Mia Hamm in the 2001 and 2002, and Abby Wambach in the 2012.Carli wins with 20.68% of total votes, followed by Marta with 16.60% and Melanie Behringer with 12,34%. In the 2008 scored the goal that led the United States to the Olympic victory over Brazil, after extra time. Four years later, he made the difference once again in London, with a shotgun with Japan (2-1). Despite these performances, he remained out of the FIFA Golden Ball victory for both editions, finishing behind Marta and Abby Wambach. But she responded with a hat-trick in the World Championship final in Canada, including the world-wide goal from midfield, which helped her to earn her adidas Golden Ball. A very often decisive phenomenon in the victories of the USA and the clubs where he played. With the ultra-deserved Golden Ball award, Lloyd looks like the right athlete to pick up the Wambach legend. 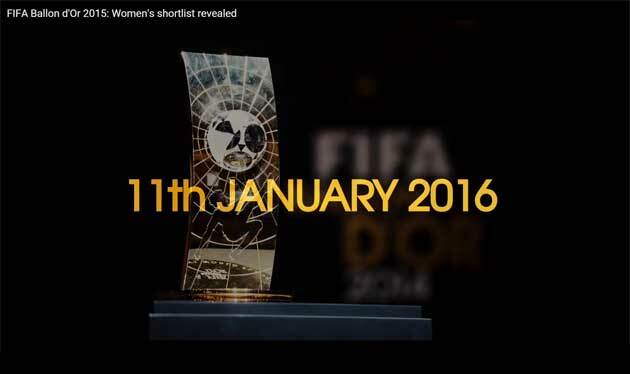 Three football stars have been nominated for the election of the FIFA Golden Ball, but which will win the prestigious 11 January award? 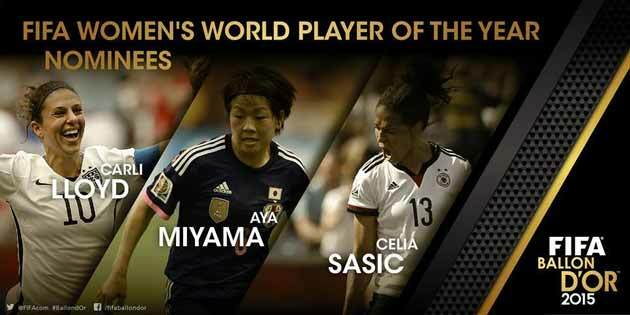 The three names of the FIFA 2015 Women's Football World Player of the Year have been announced: Carli Lloyd (USA), Aya Miyama (Japan) and Celia Sasic (Germany). The three stars were preferred to the other candidates: Nadine Angerer, Ramona Bachmann, Kadeisha Buchanan, Amandine Henry, Eugenie Le Sommer, Megan Rapinoe and Hope Solo. FIFA and France Football have announced the names of the players and coaches in competition at the FIFA Ballon d'Or and the best coach of the year. The final decision will be entrusted to the captains and coaches of the national women's teams, as well as to the representatives of the international media selected by FIFA. 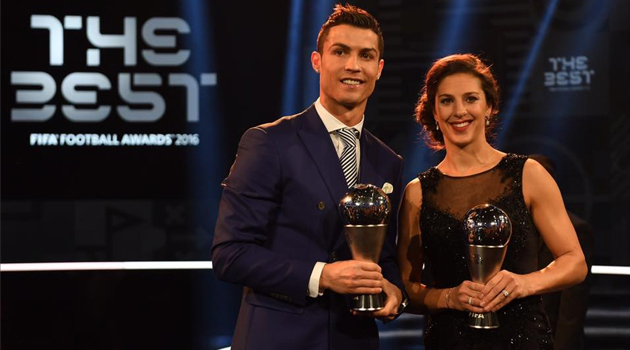 The awards recognize the best, without distinction of championship or nationality, of the period from 22 November 2014 to 20 including 2015. Winner of the UEFA Women's Champions League, Nadine Kessler was awarded the FIFA Footballer of the Year award, while Wolfsburg's Ralf Kellerman was voted best female football coach. VfL Wolfsburg and Germany midfielder Nadine Kessler won the FIFA Footballer's award as her club coach, Ralf Kellermann, was named the best female football coach at the Golden Ball ceremony in Zurich . Kessler, who won the UEFA Best Women's Player award in Europe for 2013 / 14 in August, captained Wolfsburg's success in the UEFA Women's Champions League and Bundesliga for the second year in a row. The 26enne has always been present in both competitions. Abby Wambach won the 2012 Golden Ball in the year of the American triumph at the Olympics after Germany's 2011 World Cup silver medal. Pia Sundhage elected best CT of the year 2012. Wambach led the team to the London Olympics title 2012, where he also won the Adidas Golden Ball as the best player in the competition and the Adidas Golden Shoe as best bomber. He prevailed with the 20,67% of the votes, in front of the Brazilian Marta and the charming Alex Morgan, attacking from the deadly left and not only that they received respectively 13,50% and 10,87% of the preferences. 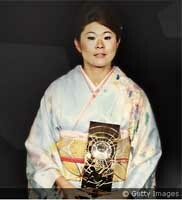 As expected, the Golden Ballon 2011 has been awarded to the Japanese Homare Sawa about an 2011 season that the protagonist view is with the club matches that with the national team until the conquest of the World Championship. In Germany 2011, the Japanese has filled up with titles winning the Golden Ball Adidas, for having brought his national team to the world title and the Adidas Golden Boot for the five goals scored. The next goal, before finishing a brilliant career, is the conquest of the Olympic Gold Medal in London 2012. The FIFA Golden Ball crowns a career of sacrifice and success that has brought the Japanese star into the world history of women's football. 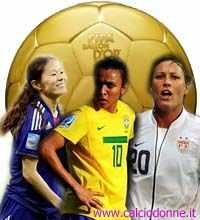 Three great athletes on the list for the "Golden Ball 2011" that will be assigned the 9 January in Zurich: Marta, Sawa, Wambach. The nominations come from the votes of the mister and captains of the Nationals and a selection of journalists. 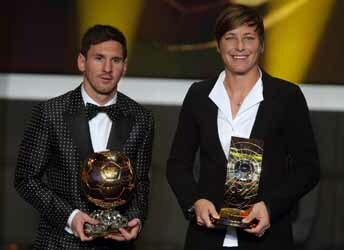 Vote the poll of calciodonne.it -> who will win the "2011 FIFA Golden Ball"? ALL ON THE FEET OF MARTA! by Mario Villa Once again, the Brazilian Marta has been elected by FIFA as 'Best Player of the World'. For the fourth consecutive edition (an unprecedented anniversary) the Brazilian phenomenon is awarded as the best on the planet in a year that saw professionalism flourish again in the USA, a country where the South American has worn the Los Angles jersey last season. Marta announced her signature with the Californian club after last year's Gala, leaving the cold Sweden to immediately play the lead role in the American league. The Brazilian strong immediately brings the title to Los Angles, winning the prize as best player of the national tournament. After the US season, Marta takes the road home and arrives at Santos, team of his Brazil. Here he makes his debut in the Brazil Cup and then takes part with his female companions in the Copa Libertadores; nothing to do, where Marta passes immediately successes and even in his native land, conquers the National Cup and the Libertadores writing his name at the top of the list of the best players ever.